When I was a teen ager I never woke up until my mother made the third trip into my room to give me the final warning. I would lumber out of bed, get dressed, mumble something and get in the car to either go to school or off on an outdoor adventure with my family. Thirty years later, it’s my turn to make the trip down the hall to my mother’s motel room to give her the final call to rise and shine for another day of birding for the week- long event of the Greater Texas Birding Classic. My mother is the one that got me and my uncle hooked on birding, and she was thrilled when I married a man that loved to hike, camp and bird as much as we did. When it came time to choose team members for the week-long event of the Greater Texas Birding Classic there was no question in my mind who my first draft picks should be. Even with the handicap of not rising early, my mother is still the prime birder that adheres the rest of us together. She is the president of the Travis Audubon Society and has spent the majority of her career helping set aside land for conservation purposes. My nearly deaf uncle cannot hear the birds, but is an excellent spotter. My husband is a casual birder with a great eye for wildlife photography, excellent at navigation and a champ on adventures. Myself, I’m a fair birder with bird-dog hearing just hoping to learn what I can. 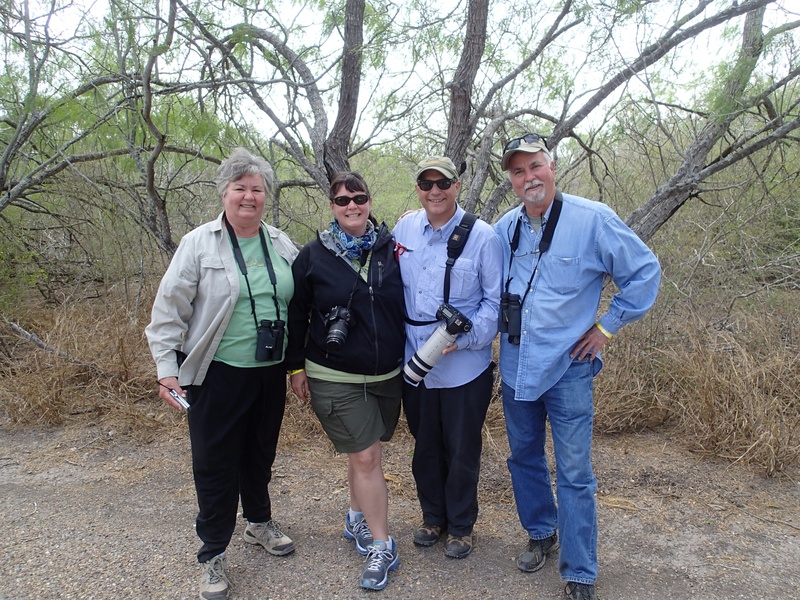 Between us we had at least one set of good eyes, one pair of good ears and one experienced birder. Our journey took us from Austin, TX to the Rio Grande Valley, along the Texas Coast, through the rolling oaks and finally to the lost pines of Bastrop. We traveled almost 1,000 miles through rain and dust storms to make 22 individual birding stops. We did not consider the addition of the Red Tailed Hawk at the Dairy Queen in Three Rivers an independent birding stop, but it was a good spot none-the-less. At each stop my mother, Valarie Bristol, shared her vast knowledge of how that park or birding center came to be, who purchased or gave the land, what wildlife or resource it was set aside for and what birds we could hope to find there. Each story was shared with great detail and a heap of laughter. But her knowledge didn’t stop there. She also knew where most of the birds we were viewing had come from, where they were going, what plants they liked to eat and how long they would be vacationing in Texas as they migrated through. The few things she did not know, she quickly found in a book or she ask me to look at my “magic phone” to find the answers. Birding is an endurance sport with long hours spent in the car traveling from one eco-region to the next to view a different yield of birds. To fill the void, my uncle read to us from the book “Why Stop: A Guide to Texas Historical Marker.” Since my husband is not a native to Texas he isn’t a hundred percent sure why we Texans are so obsessed with our state’s history. However he started to get the picture of why Texas history maters so much to our family as we bumped along HWY 281, just a stones throw away from the boarder, towards the towns of Weslaco and Ed Couch. We regaled him with the tales of our adventuresome great, great uncles that founded the towns. I have to wonder what the bird migrations must have looked like back then when the region was still mostly brush country with dappled resacas laced along the mighty river. 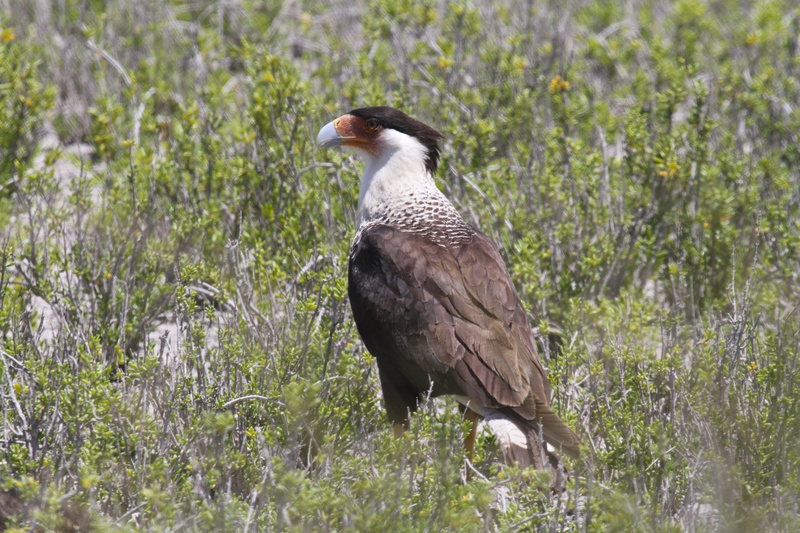 After all, the birds that live and travel through Texas are also part of our collective history. Their migration patterns formed thousands of years before the arrival of humans and have stayed consistent despite the many adversities such as; loss of habitat, altered food sources, power lines and an increase in extreme weather. On Padre Island we experienced a fall out with birds literally sitting on the ground too tired to move after traveling across the Gulf of Mexico. I could hardly keep up with scribbling down the names of the birds as my team members called them out. My husband danced around taking photos, while my uncle gathered information from the local birders. My mother just kept saying, “poor things, they must be starving.” It finally dawned on me, that she was telling me that she was starving since we had not stopped to eat since mid-morning. But we were there to bird, so I kept the team focused until sunset. 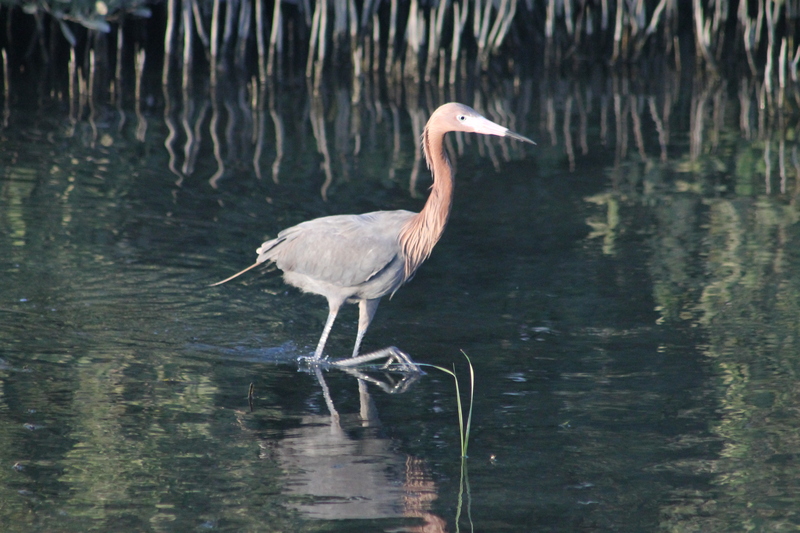 The rest of the birders moved on, but we lingered in the fading light to watch the heron’s fish in the shallows of the Laguna Madre. The simplicity of the birds fishing was in drastic contrast to the biker rally that raged just a few blocks away. Finally we finished birding to forage for food of our own. Our family birding journey took us through 8 separate eco-regions and 21counties to spot over 170 types of migrating and native birds. As we arrived at Goliad State Park on San Jacinto Day and got ready to settle into another round of Texas history lessons woven through our birding hike- we got a call. My cousin called to say that the newest member of the family was on the way and would we please return my uncle ASAP for the joyous event. Alas, we had to abandon the birds of Goliad for a quick trip back to Austin.